The Connected TV and over-the-top (OTT) advertising marketplace experienced rapid growth in 2018, with more to come in 2019. But ad fraud threatens the burgeoning space, as Pixalate measures worldwide invalid traffic (IVT) rates of 19% in OTT. 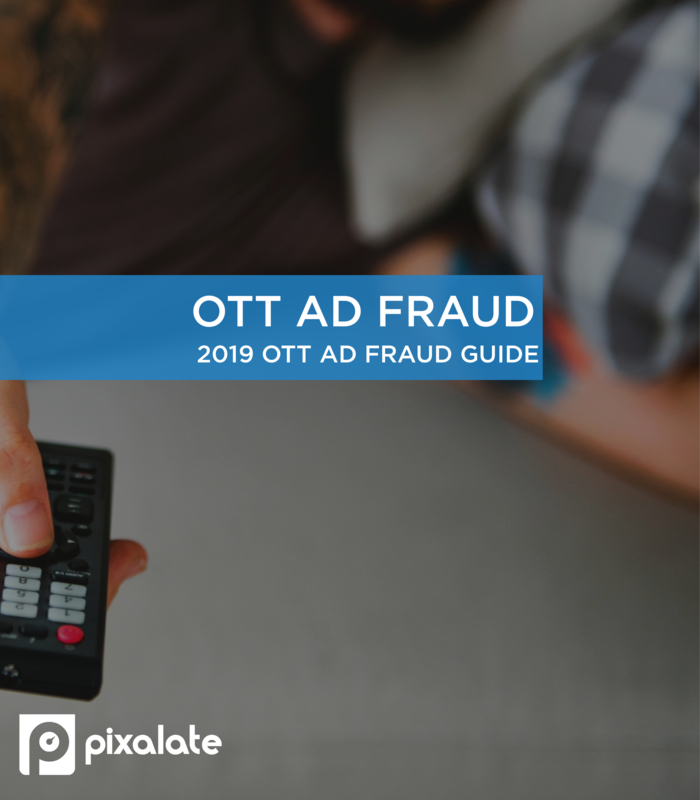 Fill out the form to download your free 2019 OTT Ad Fraud Guide from Pixalate, the first MRC-accredited solution for the detection and filtration of invalid traffic for OTT video ads.